Refill youself you ink cartridge Kodak 100 tricolor and black in yours home, no need buy other new. The Kodak cartridges with a highly regarded quality, however there is a shortage of these cartridges in the market, when finding one they are really expensive. Nowadays we are looking for alternatives to focus on saving money and survive better with less, if one day someone says these cartridges cannot be refilled do not believe it, from now on we will show the procedure that works to refill the ink these ink cartridges. Let’s start by looking for the refilling ink, generic ink can be used to refill these cartridges, that ink can be obtained in any refilling store. Apply water based ink until otherwise stated. Remove the ink cartridge from the printer, it is not mandatory but it’s advised the printer to be off when taking out the cartridges, this avoid the printer to place again in the resting place and producing damages to the part where the ink cartridge fits. Fill the syringe with ink, for the black ink cartridge provide about 10 ml of ink, remember to apply the ink as soft as possible. Introduce the syringe and provide the ink, as the sponge is getting full start taking out the syringe. For the color ink cartridge look for a syringe for each color, the same syringe cannot be used for all colors. Supply the color inks right as it is presented next. 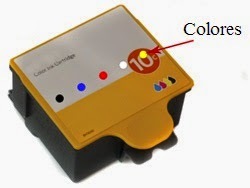 Do the same and be slowly with the ink supplying inside the cartridges. Provide the color just as presented in the following image. 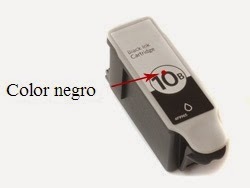 To this cartridge ink must be provide about 5ml of ink for each cartridge, these ink cartridges are compatible with the following 5100/ 5300/ 5500/ eps3/ eps5/ eps7/ eps9/ eps3250/ eps5210/ eps5250/ eps7250/ eps9250/ epsoffice6150/ hero7.1/ hero9.1/ office hero 6.1 printers.